Maintaining good health can be a difficult task without the right motivation, but fortunately, there are many tools available to help you support a healthy lifestyle. When it comes to exercise, a good fitness tracker can quickly become an invaluable gadget for keeping you informed about your overall health progress, which in turn can further motivate you to push forward. Fitness trackers are relatively new technology, so you may find it a bit difficult to determine what makes a good fitness tracker. We here at Wise Bread have done the research for you and have compiled our list of the top 5 fitness trackers worth your money. A fitness tracker, also known as an activity tracker, is a wearable electronic monitoring device that measures a variety of workout-related data including altitude, distance traveled, calorie consumption, heart rate, and perspiration. Some fitness trackers can also measure your sleep patterns too. That data is then synced to specialized software on a computer or smartphone to allow you to see your results over time. Fitness trackers are essentially a modernized form of pedometers that can do more than just tracking your steps, and they come in two main forms: clips and wrist devices. Beyond having a long-lasting battery and a wide variety of sensors, a good fitness tracker should most importantly be comfortable and convenient enough to wear everyday since the most accurate data will come from sustained use of the device. 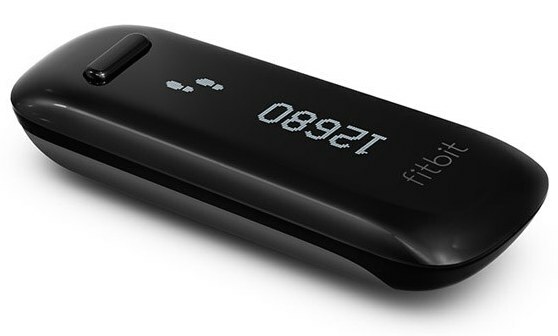 With a 4½-star Amazon rating from over 5,000 customer reviews as well as being named a Best Buy from Consumer Reports, the Fitbit One is an outstanding fitness tracker that has impressed both experts and consumers with its incredibly comprehensive monitoring capabilities. 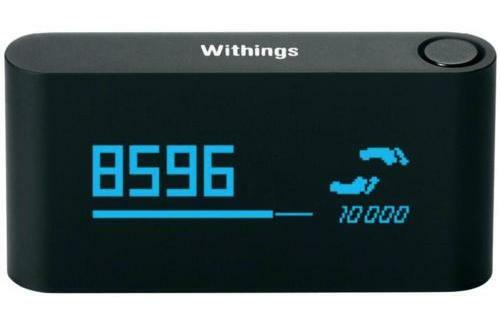 Users love how the One can accurately monitor every health-related part of your day along with providing you with a number of encouraging messages on its small LED screen. Its sleep tracker function is great for monitoring the quality of your sleep, and it can also wake you up at a desired time with its silent vibrating alarm without disrupting the sleep of others. With its built-in Bluetooth antenna, the One can wirelessly sync its data to any computer and smartphone and is compatible with a large number of fitness apps beyond its own. Its simple clip design is barely noticeable, and its easy to wear on any garment or pocket. The Withings Pulse is another exceptional choice that delivers a quality fitness tracker packed with a number of useful features. The Pulse does a phenomenal job of monitoring both your movement and sleeping habits down to the smallest detail. It can even detect when you're out on a run, and it can display the results of your run right after. Its small clip design can fit in the smallest pocket, and yet it somehow manages to fit a beautiful OLED touchscreen that not only allows you to view your daily statistics but also a history of all your activities right on the device. You can also instantly check your heart rate with a simple press on the back of Pulse. It can wirelessly sync its data automatically to its companion app on your smartphone or tablet via Bluetooth so that you can focus on your progress. Coming from the largest sportswear company in the world, the Nike+ Fuelband fitness tracker is both a Consumer Reports and Good Housekeeping top pick that lives up to the brand when it comes to features and performance. The Fuelband keeps track of all your activity in the form of a NikeFuel number, and a colored LED indicator on the device shows you how close you are to reaching your daily goals. Made to be worn on the wrist, it comes in a variety of sizes along with two easy-to-insert links to ensure the best fit. It can function as a watch as well and is also nicely waterproof. 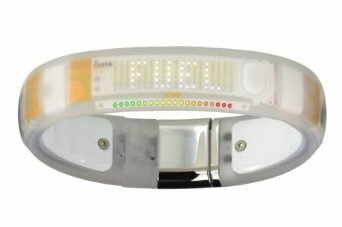 The Fuelband also comes with Bluetooth capability for wireless syncing or you can connect it directly to your computer via USB, and your results can be monitored on the Nike+ smartphone app and website. 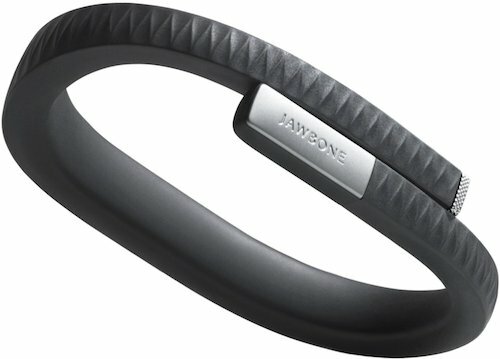 Another Consumer Reports top pick, the UP by Jawbone fitness tracker is another excellent choice that's designed to be your ideal daily companion. This wristband tracker is very effective at overseeing how active you are throughout the day, and it can even send you an alert when you've been idle for too long. It's also great for monitoring your sleep efficiency and can wake you up at the perfect time in your sleep cycle. The UP was made to be worn 24/7, and its discreet waterproof design and long-lasting battery makes it easy to do so. While there isn't a LED screen that let's you see real time results while wearing this device, syncing the UP to a smartphone or tablet via USB couldn't be any simpler. It is also compatible with a number of popular fitness apps including RunKeeper and MyFitnessPal. 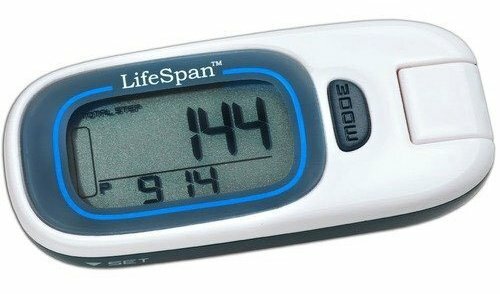 For the technologically inclined and the value seekers, the Lifespan MyStride is the perfect affordable option that provides a great basic fitness tracker and comes highly recommended from the experts at Good Housekeeping. This simple tracker is proficient at providing you with detailed information of your daily movement. The MyStride's clip design is conveniently portable and water-resistant, allowing you to wear it effortlessly for throughout your day without notice. With its integrated flip USB port, you can easily connect the MyStride to your computer and upload your data to an online Lifespan Fitness Club account with no technical details to worry about. It can also save up to seven days worth of data on the device itself if you find yourself away from a computer for a while. And those are our recommendations for the best fitness trackers. As always, be sure to check out the Wise Bread Buying Calendar to learn when and how to buy just about anything! Any comments on lifespan? My UP24 just died. I only had it 17 months - that's about $10 per month, which seems high to me.